This gorgeous plug is made of Hematite due to which it has its unique shine. Hematite is a mineral which consists for %70 out of iron and carries a history going back to 80.000 years. It is one of the first raw materials that was collected and used in primitive tools. 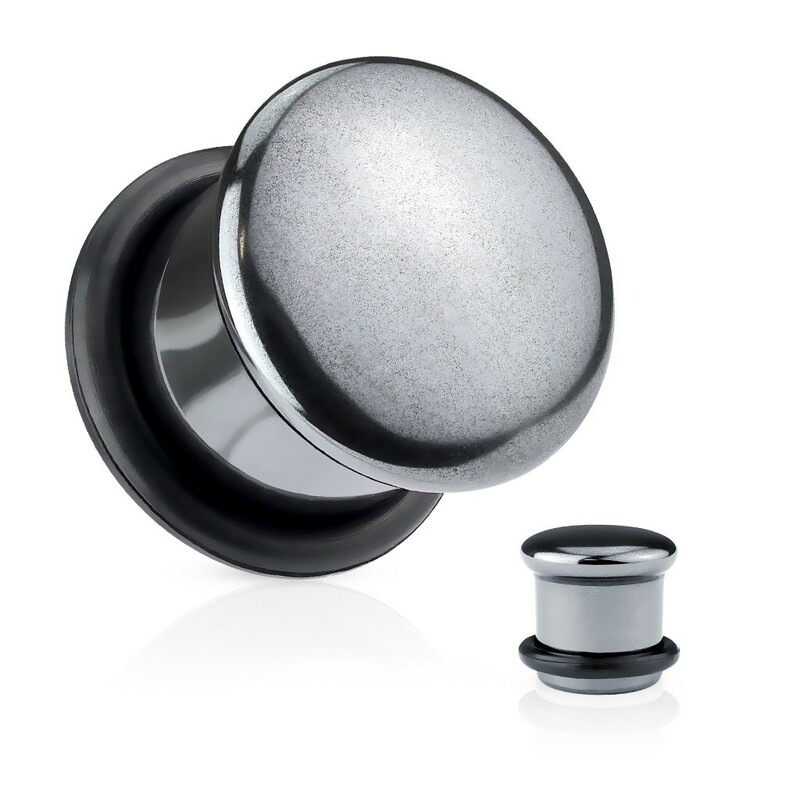 This plug is single flared and thefore suited for not fully healed earlobes. Single flare plugs are held in place with an o-ring which should be slided over the rear end.